Branding yourself or your company through social media is not difficult to accomplish when the right strategies are employed. Below are a few tidbits of info that are easy to do yourself. If successful, over time you should notice a gradual increase in your audience and voluntary interaction. Once you decide on what content you’ll present through your social media networks and what you hope to achieve you can then start mapping out a strategy. These social media strategies however should be well-thought out and serve a sole purpose of peeking the interest of your audience. Here’s a few strategies to help you get started on the frontiers of social media. Let’s say you plan on launching a series of new products and want to start promoting the product release dates along with information about the product and where it is to be sold, etc. A great approach would be to leverage the pre buzz through social media. You could start by setting up scheduled tweets and Facebook posts that gradually unfold bits and pieces of information. These tweets and FB posts should be direct, concise and visually attractive. A big mistake would be posting the same information over and over and over again. If you’ve failed to get the wanted reaction the first time, dont just repost the same post. Think about rearranging the content of that post, figure out what didn’t work and step it up with more flattering, appealing info but still get to the point, and quickly. Nothing more desperate than asking your audience to “please re-post” or “please like” my whatever. Not only does this reveal desperation, but it also reveals that you haven’t taken any time to consider the audience’s interest. Don’t get in the habit of fishing where there are no fish. Instead consider the people in your audience. Are they truly consumer targets or just a scattered demographic of people who have come to jump aboard your band wagon just because. If the latter, you’ll need to start from square one and find out why they ended up in your social media network to begin with. The bottom line is to take time to get to know what moves your audience or at least figure out how to get them to move. 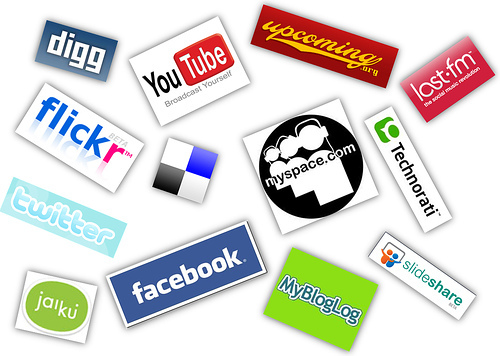 Take advantage of your social networks by interlinking them when possible. Sync them across multiple online platforms. This encourages viral interaction and the chances of your audience sharing your post increases. If your twitter account links to an rss feed or automatically updates on your other accounts great. This in a sense kills two birds with one stone and your audience can easily keep up with your company.